In their hayday Elipson loudspeakers were witnessing at close range the emergence of new Western art music. While wandering in the corridors of Cite de la Musique in Paris I saw something that I don’t remember having seen before with my bare eyes, not even during my previous visits to the same premises. One of the most influential loudspeaker of all times: a 60 year old Elipson. Most probably it was one of the early versions made widely for studios in the 1950s and 1960s (such as BS50), later to become the famous AS50 or one of its many sister models. 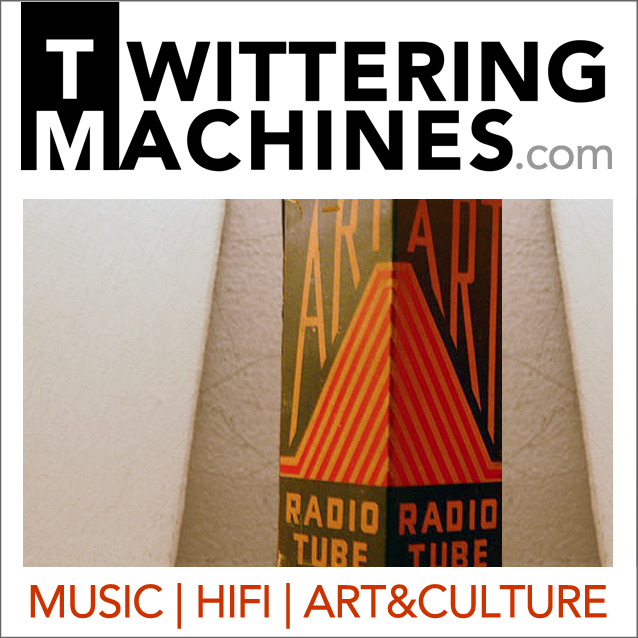 The speaker was part of a reconstructed RTF (Radiodiffusion Television Francaise) recording studio from the 1950s. Americans have WE/Altec Lansing/JBL; British Tannoy/Leak/Whaferdale; Germans Klangfilm/Telefunken/Siemens and Japanese their legendary brands. 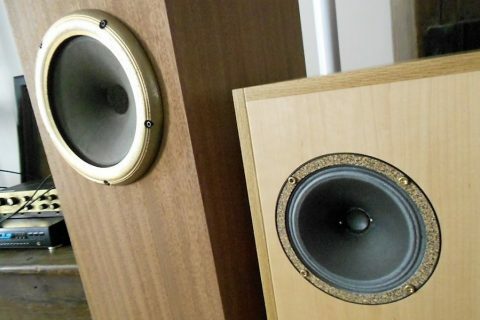 The French Elipson, and especially those speaker models made during the golden period, is easily on par with all the others. Why? The answer is threefold. First, none of the aforementioned speakers, although extensively used in studios and for public sound reproduction, was equally intimately and theoretically involved in creating completely new Western music – musique électroacoustique, in Elipson’s case. 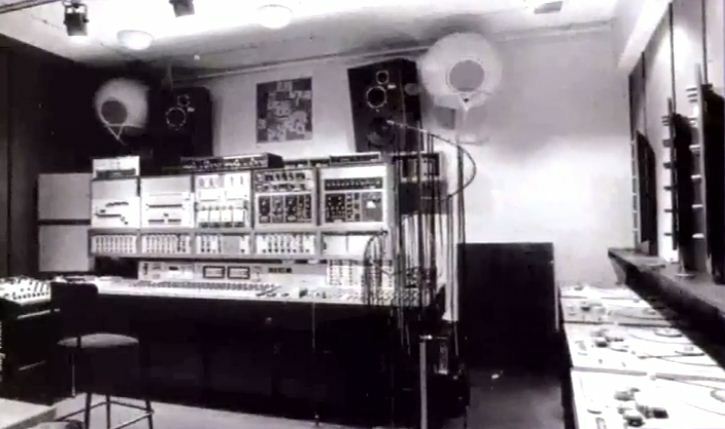 Electroacoustic music was recorded, as dictated by the composer, on a magnetic tape and reproduced with loudspeakers using both “concrete sounds” recorded with a microphone and “electronic sounds” created by various machines (electronic generators, synthetisizers, computers). 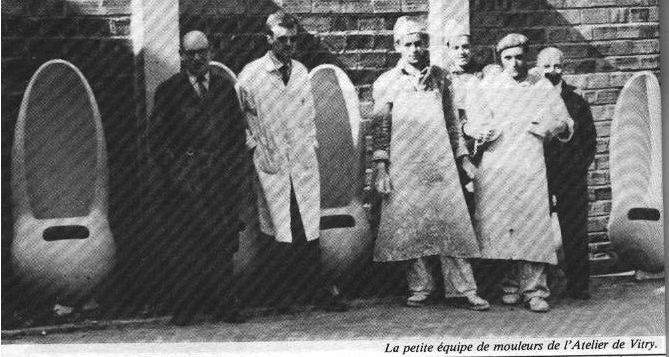 The great names behind electroacoustic music were Pierre Schaeffer (the inventor of “concrete music” in 1948), the composer Pierre Henry as well as Francoise Bell who together established the GRM (Groupe de recherche Musical) that soon attracted many significant composers such as Stockhausen. 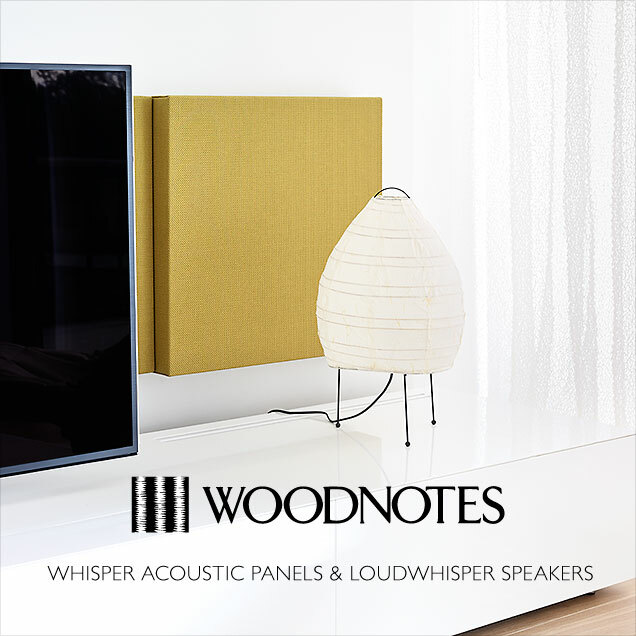 Elipson loudspeakers were the ones that were honored to reproduce this new electroacoustic music, and be part of creating it. I know no other single loudspeaker that would have been so elementarily involved in composing previously unheard music, and that could add so many famous composers to its CV. Very rarely has a loudspeaker been so intimately and theoretically involved in creating completely new Western music – musique électroacoustique, in Elipson’s case. Second, none of the former speakers can claim such an important role in creating a sound that was to become so endemic to one single country: The French style/school of sound. 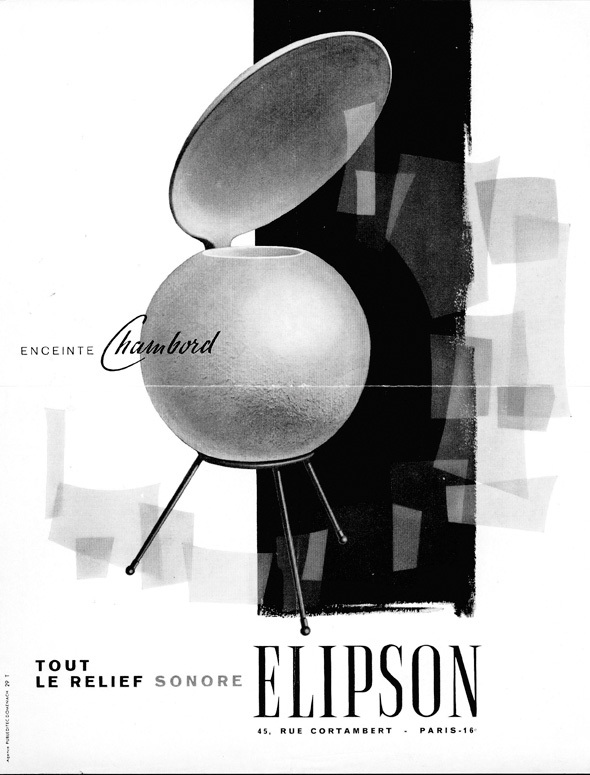 And third, none of the aforementioned speaker manufacturers were so far-sighted in their aesthetic ambitions than Elipson, and this despite the fact that the unusual form of the Elipson loudspeakers strictly followed a carefully studied function. The company was founded in 1938 (the name back then was Multi-Engine). If there’s one name which Elipson could be associated with, it’s Joseph Leon. He was the dominating figure throughout the first golden period of Elipson (1940-73). Joseph Leon became the head of the company in 1948, and in 1951 the company took its current name. It was Joseph Leon who had a vision of the Elipson sound. It was he who created and sculpted the Elipson sound by experimenting with all forms of sound reflectors, spheres, conches, etc. 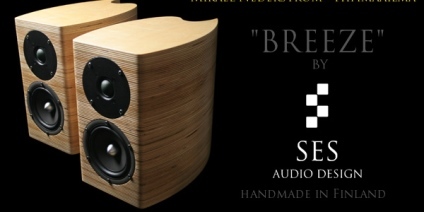 Unlike one might think by eyeing the Elipson loudspeakers, they were not born out of artistry. 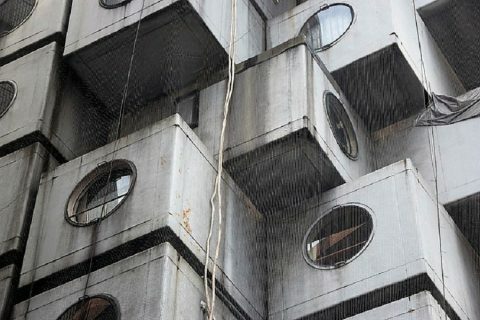 Joseph Leon was known as a rigorous engineer who didn’t care about marketing and advertising of his products as much as he did about technical qualities of his designs. The design of Elipson loudspeakers were based on systematic research, and often started from a clean table. 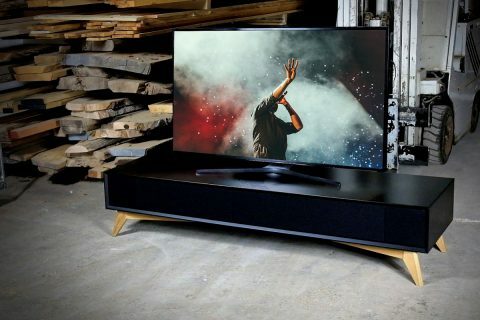 The basic premise behind all Elipson loudspeakers was that the driver constitutes the hardest problem in a loudspeaker, the enclosure does – with evils such as standing waves and all sorts of phasing problems. Another starting point for the design was that human ear is much less sensitive to amplitude variations of the sounds (ie. 1,5-2dB variations in the frequency response) than in tracking the direction of the sound (0,5dB). 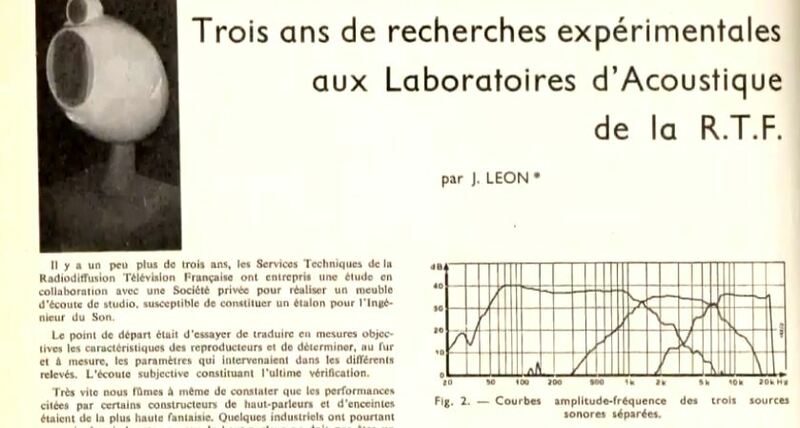 Joseph Leon and his team particularly focused on the spatial diffusion of the sound energy, especially over the higher frequencies (against their high directivity), and on high sensitivity of their speakers; ” … et que, partant de cela, il fallait réussir le son le plus vrai et vivant avec toute la subjectivité que cela comprend”. That is, always using subjective listening as an ultimate verification principle. A sphere was chosen as the enclosure form because it came closest to an infinite baffle: the only perfect loudspeaker cabinet there is. 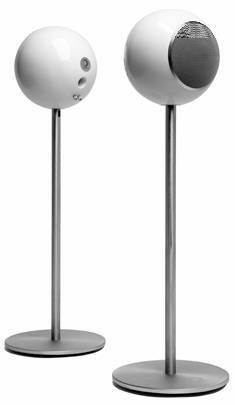 To sound perfect, the sphere needs to be equipped with internal resonators. Leon developed a double resonator “anti-resonante” loading system. The much copied system produced a flat response at bass frequencies and decreased distortion (2. and 3. harmonics). Later Elipson developed other loading principles that permitted easier means of linearizing certain resonances and smooth the response. 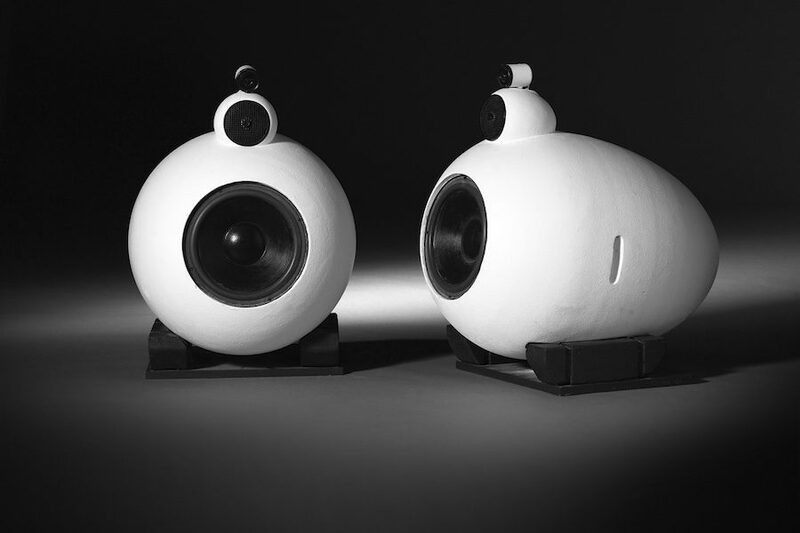 Elipson ‘concrete spheres’ were made out of “staff”, a complicated mix of plaster and vegetal fibers that was the trademark of early Elipson loudspeakers. 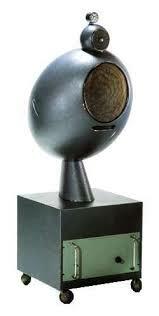 In the very beginning the Elipson speakers were just one-way ball speakers. 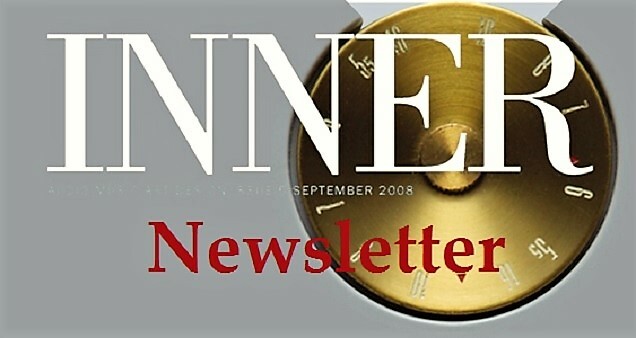 For the purpose Joseph Leon chose the best widebandwidth drivers available at the time. 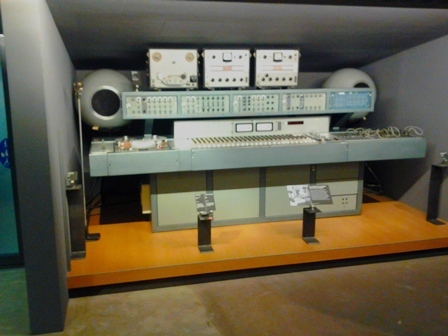 It was Elipson that gave the Supravox EFRC 215 its legendary reputation but also units by Audax, JBL, Goodmans, and of course Cabasse, were employed. At first, it was just a 40-50cm (diameter) ball with no sound reflector, like the one I saw at the museum. 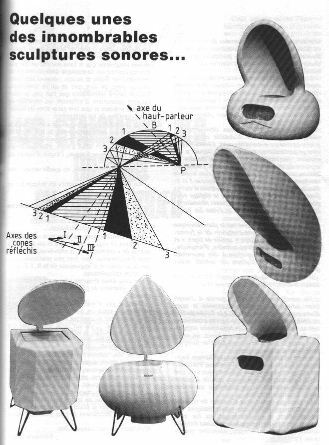 To avoid problems of directivity, and to achieve smoother sound diffusion – and hence a better relief of the sonic experience and higher sensitivity (by 3-4dB) – Elipson developed various reflector systems, conches, in order to concentrate all the acoustic energy from the speaker through the reflector, and allowing the sound to spread to a large space with precision and quality. In this process Joseph Leon and his team learned a lot from optics. There were numerous forms starting from the rabbit ear, the ball, the shape of a half cylinder, amphora, shell, etc. etc. During this period, each Elipson model was designed for a place with specific requirements, the vent, the speaker-specific ellipsoid reflector, and so on. This partly explains the considerable number of Elipson models. 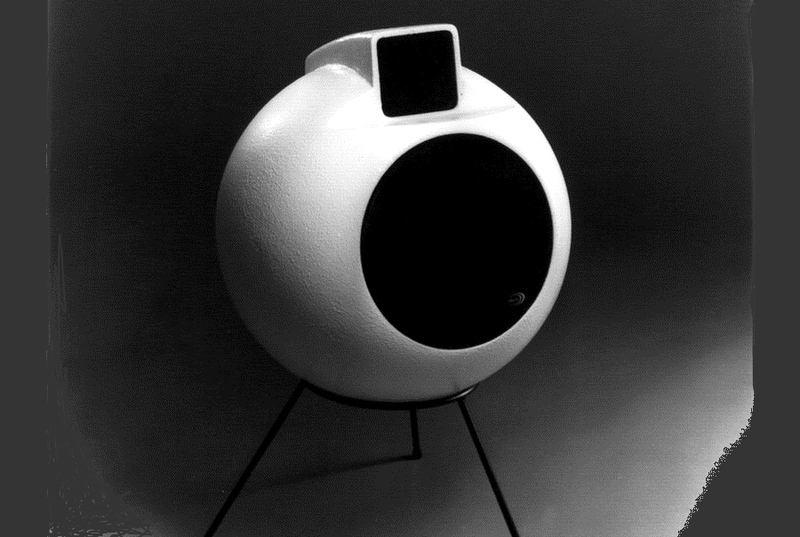 The reflector also gave the enclosure a visual style like never seen before in modern design, but which is sometimes found in the current loudspeakers. 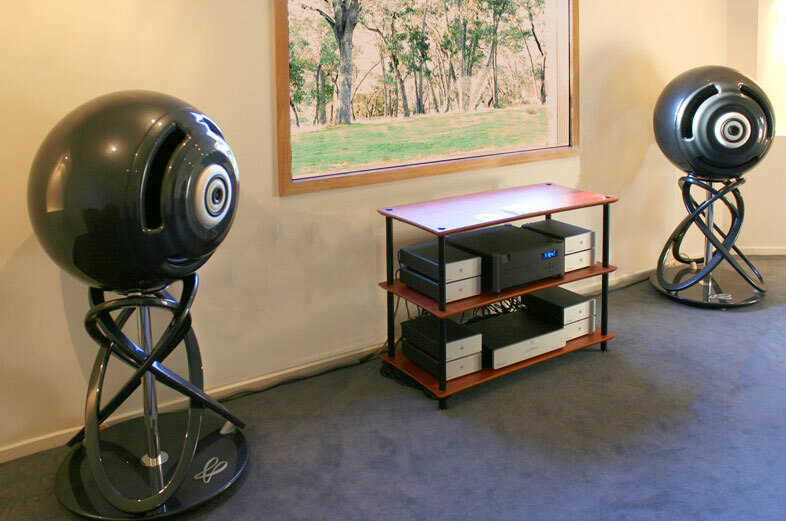 Elipson loudspeakers were truly revolutionary in this respect. 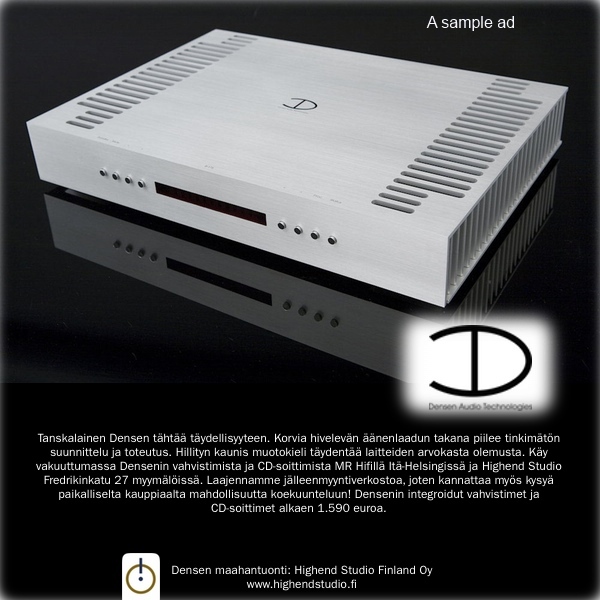 From 1960 onwards, the company commenced a search for multichannel speakers with filing of numerous patents and at the same time moderating the research on reflectors. This change begun with the command of the ORTF for a quality studio monitor. 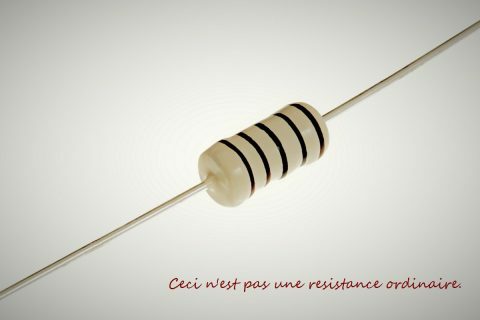 The joint research resulted in a model called “Religieuse”, in fact a series of twenty models or so. One of the specialities of this speaker was the micro Mélodium, the tweeter positioned to optimize the mechanical phase response with other speakers in the room (can be a matter of a few millimetres). The speaker was powered by a Schlumberger tube amp. 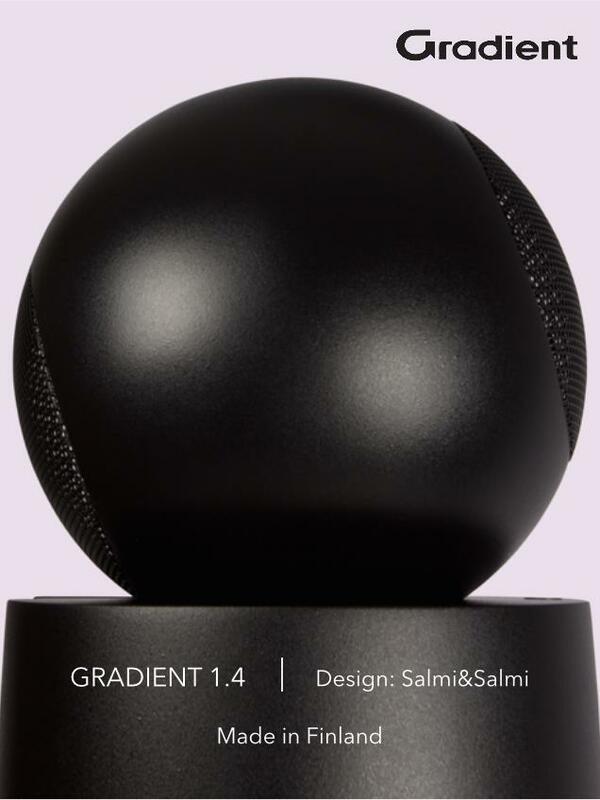 This idea of allowing a speaker to be placed in phase with a different speaker in order to have a coherent sound was further developed with the models 402 (40cm sphere) and 502 (50cm sphere). 402 is legendary for its advanced technical solutions as well as its looks. As always there are several versions of these models. In 1967 the collaboration between Joseph Leon and RTF gave birth to another legendary model, 5060, that was said to possess a really reference level sound. 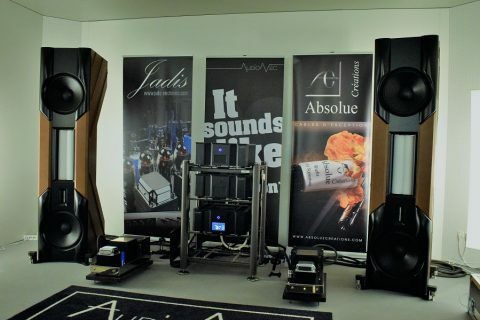 Soon there were a series of speakers following the success of the 5060: 4050, 4240, 502, 402. With models like the 402 and 4240, which had a more acceptable size for an apartment, came public recognition in the mid 70s. 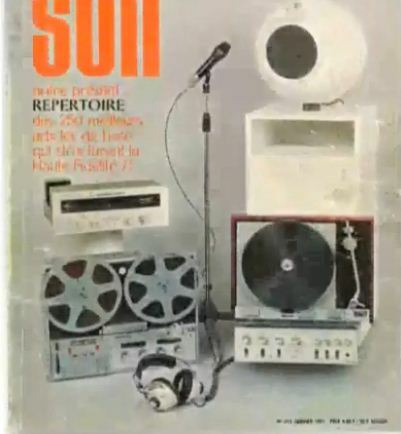 Especially the 402 came to mean ultimate hi-fi at home, and French living rooms started to be filled with the 40cm ball. 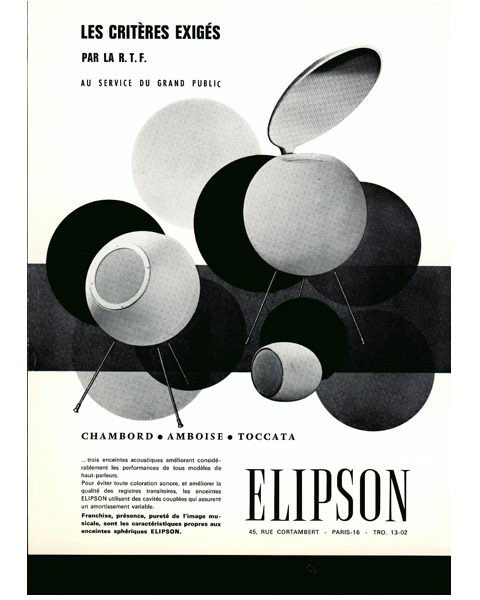 All in all it’s elementary to realize that Elipson is to France what Tannoy is to the UK; like Tannoy, Elipson speakers were used in widely in public and private spheres of life. 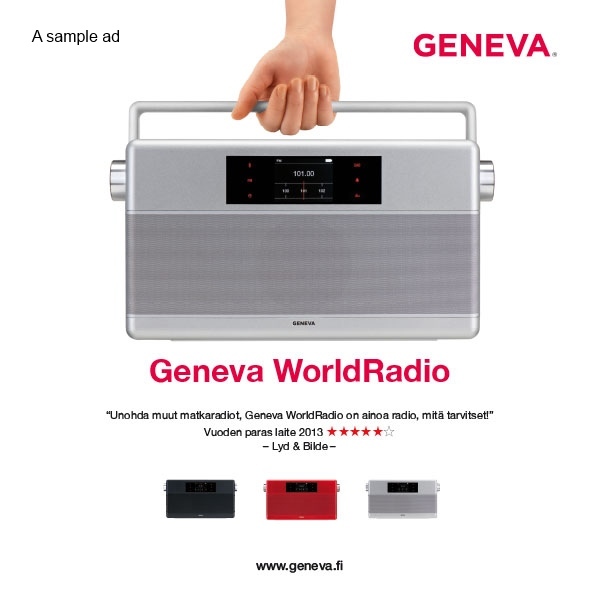 It sure did found its way to numerous French recording studios, theatres, TV stations etc. 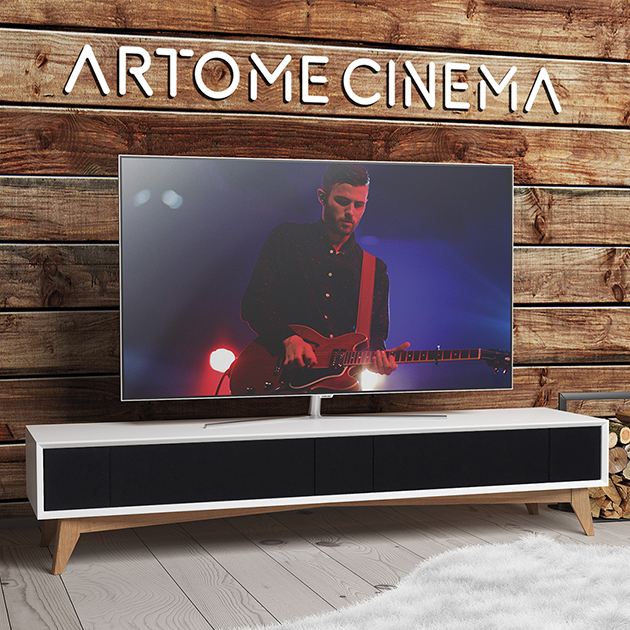 etc., often as tailor-made according to specific requirements taking into account acoustic conditions of the rooms etc. But Elipson (402 and 4020) was once also very popular among ordinary Frenchmen, and gave them an idea of what a good sound means, and how the sound from a loudspeaker should be and the music sound. Other French companies have followed the way paved by Elipson. 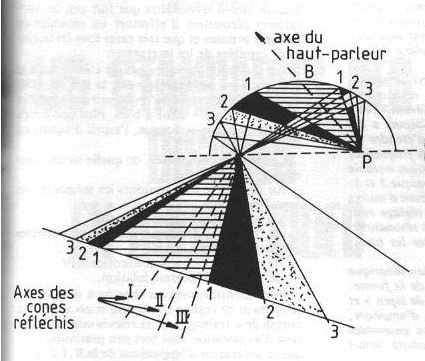 Here’s Cabasse’s famous Le Sphere. 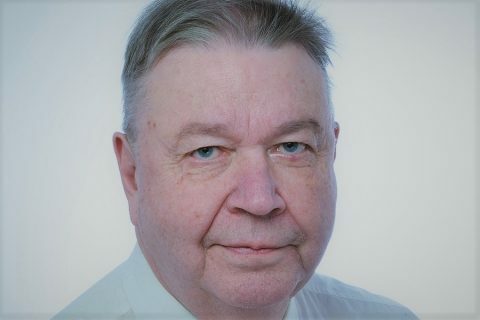 Elipson still is very much alive and recently launched the Model Planet L.
PS. There were other fine objects to look at at the museum, all of them once used to create music with the help of modern electronics.